For the past year or so I have mostly worked at home or remote in my daily life. Currently I’m engaged in my master thesis and need to manage my daily time and energy to work on it. It is no surprise to many of us that working using your internet-connected personal computer at home can make you prone to many distractions. However, managing your own time is not just about whipping and self-discipline. It is about setting yourself up in a structure which rewards you for hard work and gives your mind the breaks it needs. Based on reflections and experimentation with many scheduling systems and tools I finally felt I have achieved a set of principles I really like and that’s what I’ll be sharing with you today. Here’s a typical scenario I used to experience: I would wake up and often the first thing I do is turn on my computer, check my e-mail, check social media, check the news. I then go eat my breakfast and start working. After a while I would find myself returning to check mail and social media. Not that much important necessarily happened. But it’s fairly easy for me to press “Super” and type “Gea” and press “Enter” (and Geary will show my e-mail inbox). It’s also fairly easy to press “Ctrl+L” to focus the address bar in Firefox and write “f” (and Facebook.com is autocompleted). Firefox is by default so (ironically) helpful to suggest facebook.com. At other times, a distraction can simply be an innocent line of thought that hits you fx. “oh it would be so cool if I started sorting my pictures folder, let me just start on that quickly before I continue my work“. From speaking with friends I am fairly sure this type of behavior is not uncommon at all. The first step in trying to combat it myself was to identify the scope of it. I don’t blame anyone else for dealing with this – I see this more as an unfortunate design consequence of the way our personal computers are “universal” and isn’t context-aware enough. Afterall, GNOME Shell was just trying to be helpful, Firefox was also just trying to be helpful, although they are also in some aspects making it easier for me to distract myself like that. Let me start with a few practical suggestions, which helped me initially break the worst patterns (using big hammers). 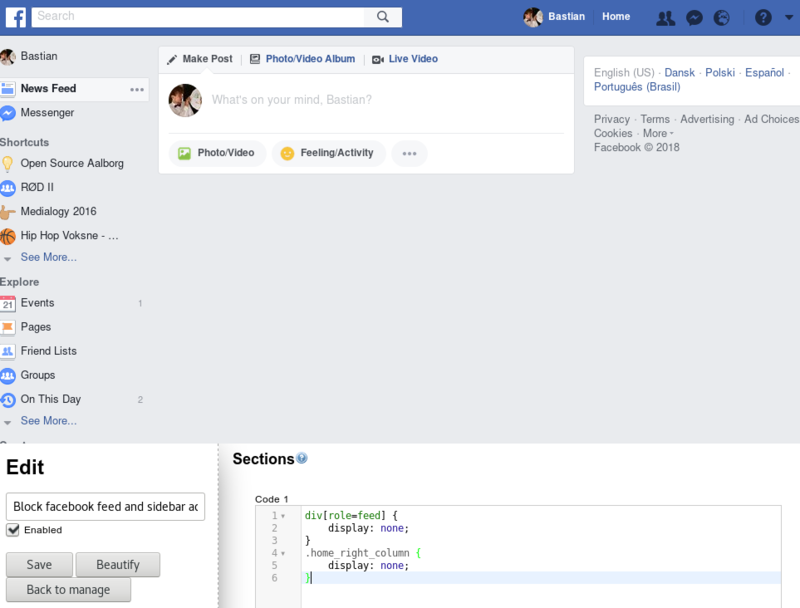 Stylish: using Inspection tools and CSS hacks I remove endless scrolling news feeds, and news content from websites that I might otherwise on reflex open up and read when in a distracted scenario. The CSS hacks are easy to turn off again of course, but it adds an extra step and makes it purposely less appealing for me to do unless it’s for something important. 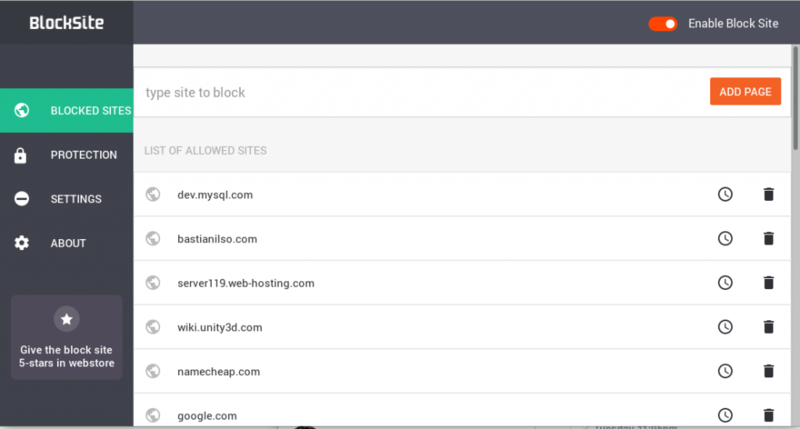 BlockSite: I use BlockSite in “Whitelist mode” and turn it on while I work. This is a big hammer which essentially blocks all of internet except for whitelisted websites I use for work. Knowing that you can’t access anything really had a positive initial psychological effect for me. Minimizing shell notifications: While I don’t have the same big hammer to “block access to my e-mail” here, I decided to change the order of my e-mail inboxes in Geary so my more relevant (and far less activity prone) student e-mail inbox appears first. I also turned off the background e-mail daemon and turned off notification banners in GNOME Shell. Putting Phone in Ultra Battery Saving Mode: I restrict my phone to calls and SMS so that I don’t receive notifications from various chat apps which are irrelevant whilst working. This also saves the battery nicely. My final weapon is The Work Schedule.This doesn’t sound new or surprising and we probably all tried it, however with more or less success. I’m actually not that big a fan of putting microscheduling my life usually. Traditional time schedules are too focused around doing things from timestamp X to timestamp Y. They require that you “judge” how fast you are in working and their structure just feels super inflexible. The truth in real life is that my day never look like how I planned it to be. In fact, I found myself sometimes even more demotivated (and distracted) because I was failing to live up to my own schedule and by the end of the day never really managed to complete that “ideal day”. The traditional time schedule ended up completely missing up what it was supposed to fix and help against. Forgetting to take breaks from work which is unhealthy and kills my productivity later. No sense of progress except from the work itself but if the work is ongoing for longer time this will feel endless and exhausting. Lack of work duration meant that my productivity continued to fluctate between overwork and underwork since it is hard to judge when it is okay to stop. Checking the checkboxes give a sense of progress as I work throughout my day. 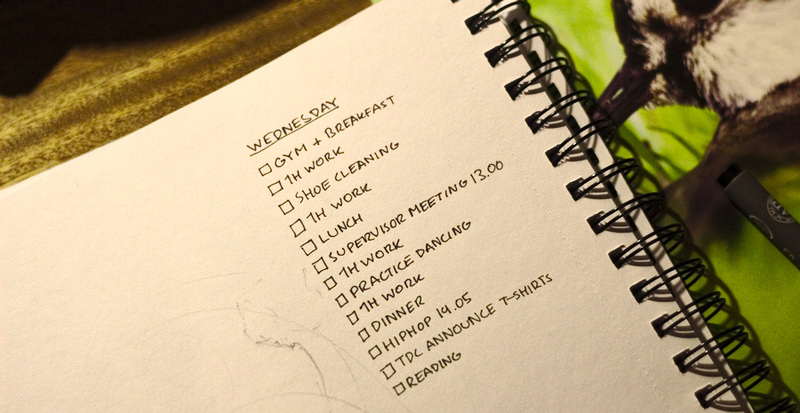 The schedule supports adding breaks in-between work sessions and puts my day in an order. The schedule makes no assumptions about “What work” I will be doing or reaching that day. Instead it specifies that I work for 1 hour and this enables me to funnel my energy. I use GNOME Clock’s Timer function and let it count down for 1 hour until there’s a nice simple “ding” to be heard when it finishes. It’s up to you whether you then take the break or continue a bit longer. The schedule makes no assumptions about “When” I will do work and only approximates for how long. In reality I might wake up at 7:00, 8:00 or 9:00 AM and it doesn’t really matter. What’s important is that I do as listed and take my breaks in the order presented. If there are aspects of the order I end up changing, the schedule permits it – It is possible to tick off tasks independent of the order. If I get ideas for additional things I need to do (banking, sending an important e-mail, etc) I can add them to the bottom of the list. The list is made the day before. This makes it easier to follow it straight after waking up. I always use the breaks for something which does not involve computers. I use dancing, going for a walk or various house duties (Interestingly house duties become more exciting for me to do as work break items, than as items I do in my free time). In the start you won’t have much feeling for how much work you can manage to make and it is easy to overestimate and get out of breath or unable to complete everything. It works much better for me to underestimate my performance (fx 2 hours of focused work before lunch instead of 3 hours) and feel rewarded that I did everything I had planned and perhaps even more than that. I insert items I want to do in my free time into my scheduling after I finish work. These items are purely there to give additional incentive and motivation to finish. The system is analog on purpose because I’m interested in keeping the list visually present on my desk at all times. I also think it is an advantage that making changes to the list doesn’t interfere with the work context I maintain on the computer. Lastly, I want to give two additional tips. If you like listening to music while working, consider whether it might affect your productivity. For example, I found music with vocals to be distracting me if I try to immerse myself in reading difficult litterature. I can really recommend Doctor Turtle’s acoustic instrumental music while working though (all free). Secondly, I find that different types of tasks requires different postures. 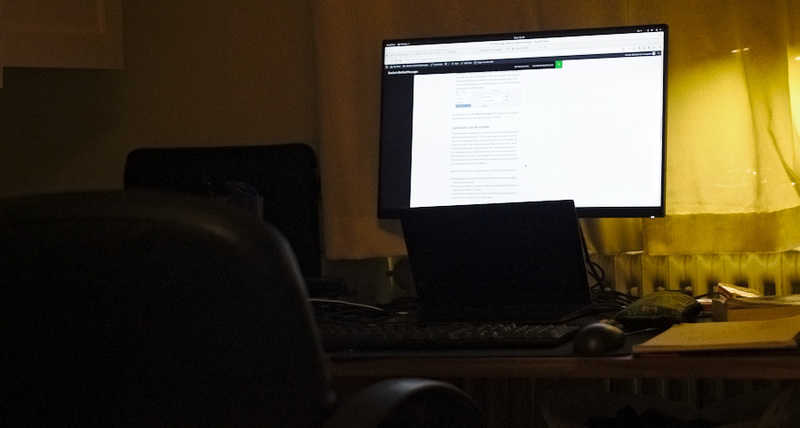 For abstract, high-level or vaguely formulated tasks (fx formulating goals, reviewing something or reflecting), I find interacting with the computer whilst standing up and walking around to really help gather my thoughts. On the other hand with practical tasks or tasks which require immersion (fx programming tasks), I find sitting down to be much more comfortable. Hopefully my experiences here might be useful or interesting for some of you. Let me know! I just flipped the switch for the 3.28 Release Video. I’m really excited for all the new awesome features the community has landed, but I am a bit sad that I don’t have time to put more effort into the video this time around. A busy time schedule collided with technical difficulties in recording some of the apps. When I was staring at my weekly schedule Monday there didn’t seem much chance for a release video to be published at all..
Building GNOME Apps before release and recording them is painful and prone to error and frustration. I hit errors when upgrading Fedora Rawhide, and even after updating many apps were not on the latest version. Flatpak applications are fortunately super easy to deal with for me, but not all applications are available as flatpaks. And ideally I will need to setup a completely clean environment since many apps draw on content in the home folder. Also, currently I need to post-process all the raw material to get the transparent window films. I run out of (8GB) memory several times and it’s almost faster to hold power button down and boot again, than to wait for Linux memory handling to deal with it.. Will definitely need to find a solution to this – it builds up a lot of frustration for me. I am already working on a strategy for the first problem. A few awesome developers have helped me record some of the apps in the past and this has been really helpful to deal with this. I’m trying to make a list of contacts I need to get in touch with to get these recordings done, and I need to send out emails in time with the freezes in the release cycle. It makes my work and the musician’s work much easier if we know exactly what will go in the video and for how long. 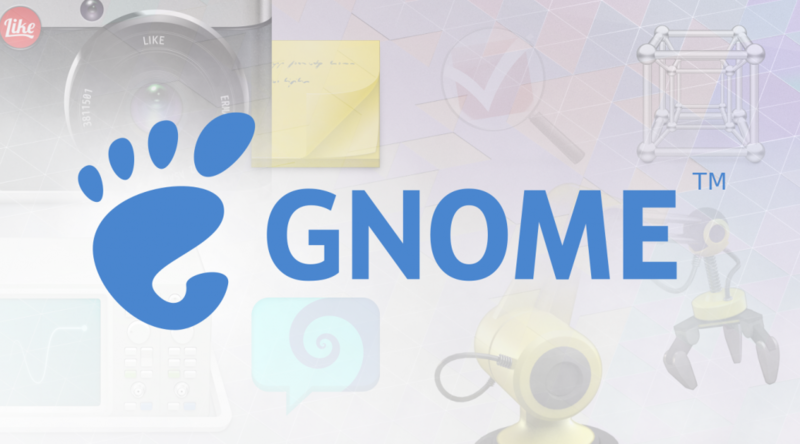 I also had a chat with Felipe about maybe making a gnome shell extension tool which could take care of setting wallpaper, recording in the right resolution and uploading to a repository somewhere. As for the second problem, I think I’m going to need a new laptop or upgrade my current one. I definitely have motivation to look into that based on this experience now, hehe..
“Do you have time for the next release video?” You might ask and that is a valid question. I don’t see the problem to be time, but more a problem of spending my contribution energy effectively. I really like making these videos – but mainly the animation and video editing parts of it. Building apps, working around errors and bugs, post-processing and all that just to get the recording assets I need, that’s the part that I currently feel takes up the most of my contribution energy. If I can minimize that, I think I will have much more creative energy to spend on the video itself. 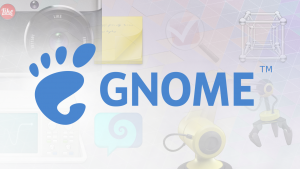 Honestly, all the awesome contributions in our GNOME Apps and components really deserve that much extra polish. Thanks everyone for helping with the video this time around!